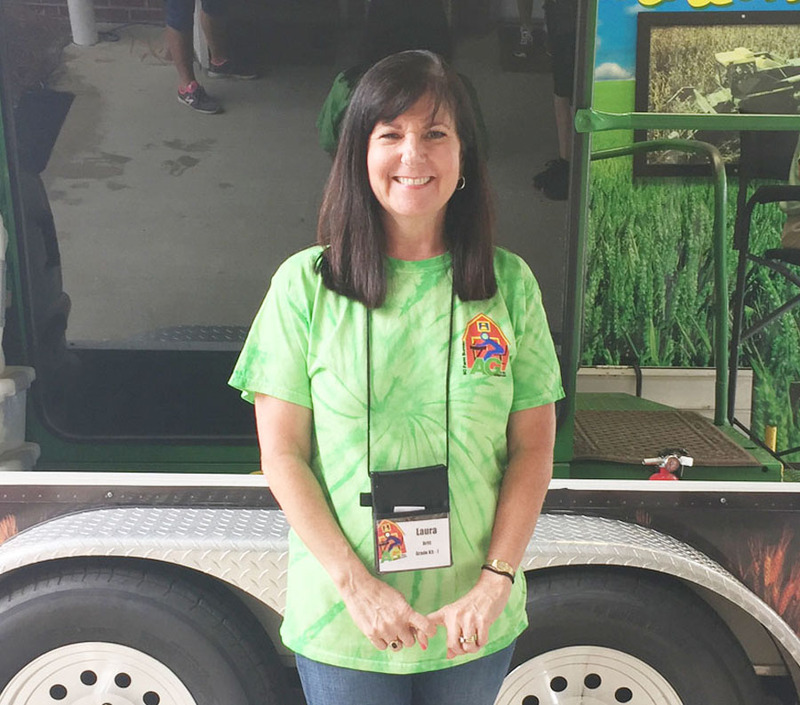 CHARLESTON – Dillon County teacher Laura Britt was among fifty educators from across the South Carolina who recently learned how to bring agriculture into their classrooms. The South Carolina Farm Bureau Federation (SCFB) hosted its annual Ag in the Classroom Summer Teacher Institute June 5-9 in Charleston, SC, where teachers of grades pre-K through 8th grade in public and private schools learned the importance of family farms and farmers and how to teach agricultural lesson to their students. “The Ag in the Classroom program has many benefits because we can educate teachers about the importance of agriculture, and those teachers are then going to take that back to their own classrooms of sometimes thirty students. The overall outreach of the program is unmatched,” said Harry Ott, SCFB President. In addition to instruction about their learning and teaching styles, Institute participants heard from agriculture and education experts from Clemson University’s College Relations/Ag Careers Department, Department of Animal and Veterinary Science, the SC Ag Statistics Department, and the SC Department of Agriculture. Participants also experienced two days of farm tours in the lowcountry, including a USDA Research and Education Center, the Charleston Tea Plantation, Dantzler Farms in Santee, SC and Terry Thomas Dairy Farm in Bowman, SC. Ag in the Classroom Institute participants received lesson plans aligned to the state curriculum standards to use in their own classroom this fall. They also left with resources they can use to teach students about agriculture and the benefits farmers add to the economy, the environment and the community. Participants earned three hours of graduate credit for recertification from Winthrop University, courtesy of SCFB’s Ag in the Classroom Fund. Along with a modest registration fee, which many County Farm Bureau chapters reimburse to participants, sponsorships raised through the SCFB’s Ag in the Classroom Fund cover the cost of tuition, room and board, resource speakers and tours, and materials for the week-long Institute. “If agriculture is to maintain its status as South Carolina’s largest business sector – providing more than 212,000 jobs and more than a $42 billion impact on South Carolina’s economy – we’ve got to help people understand the link between their food and fiber and the farm,” said Ott.